As its awkward-looking title suggests, ensemble rom-com Think Like a Man Too is a sequel to director Tim Story's 2012 hit. Based on a self-help book by Steve Harvey, the original film featured a group of women (Meagan Good, Regina Hall, Taraji P Henson and Gabrielle Union) using tips from Harvey's book on their respective boyfriends (Romany Malco, Terrence J, Michael Ealy and Jerry Ferrara), only to have said boyfriends turn the tables. The sequel thankfully ditches the self-help element and sends its characters to Vegas instead (the resemblance to The Hangover is presumably intentional) for a wedding. However, despite its attractive cast and a welcome degree of manic energy, it fails to deliver any really big laughs. 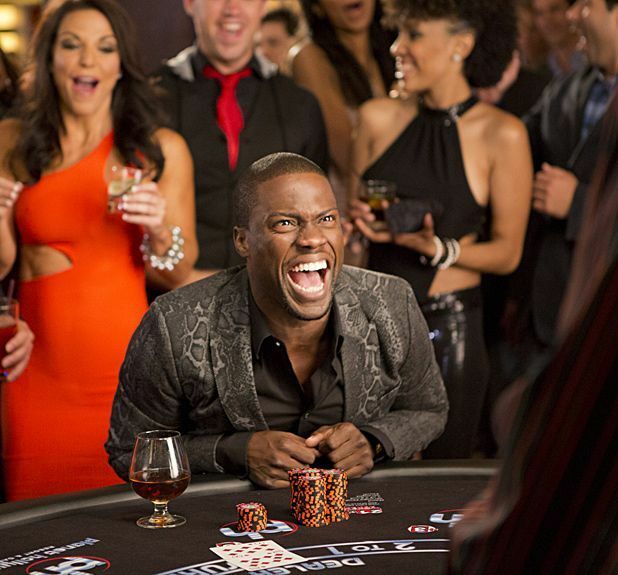 Said manic energy comes largely courtesy of pint-sized motor-mouth Kevin Hart, whose star has risen somewhat in the intervening two years; accordingly, as best man Ced, he gets a lengthy sequence to himself where he dances around in his underwear, like Tom Cruise in Risky Business. There isn't much more to the plot: each couple has various relationship issues to work through, the stag night and the hen party take unexpected turns that end up with everyone in jail. That sort of thing. To be fair, the cast are easy on the eye and their rapid-fire banter is enough to keep this just about watchable, though no-one is given all that much to do and promising supporting players like Kelsey Grammer and Cheryl Hines are wasted. It also lacks a decent comic set-piece, though does throw in a bizarre, tonally inconsistent music video sequence that feels like a promotion for the film within the film. Ultimately, despite a handful of fairly amusing moments, this is a disappointing comedy, suffering from a surfeit of characters. Still, at least it's mercifully shorter than the first movie. General release from Fri 19 Sep. The characters from the 2012 travel to Las Vegas for a wedding, where low-rent Hangover -style shenanigans ensue. Much of the energy comes from pint-sized motormouth Hart, who as best man Cedric has most of the (few) laughs; ultimately there are just too many characters, but at least it's shorter than the first movie.